The Talsa team wants to wish a happy holiday season to all of our providers and service providers, clients and, of course, to our faithful distributors, who year after year have shown our clients all the properties and qualities of our machinery for the meat industry. They have maintained constant contact with our clients and met all their needs and worries so any problem would find an immediate solution. We leave behind many years of hard work to become what we are today. And ahead of us is our dream we will keep working for, to improve ourselves and provide year after year a better service for our clients worldwide. As any other company with a constant and stable progression towards expansion in Europe and on the other side of the Atlantic, what Talsa expects is to maintain its reputation everywhere it sets foot on. Maintain the quality and beauty of its products, the robust but simple and elegant machinery, easy to handle and with preferential technical support around the globe. Talsa keeps on the hard work to maintain its leadership on the market of medium-capacity machinery for the food processing industry, obtained after 100 years of dedication and industrial experience, 80 of which have been dedicated to food industry machinery. Their 3D designers continue to study new proposals for a future that promises innovation. Just like the new and recently improved logotype that reminded us of its importance. We close our year happy to have exceeded our expected sales and knowing that we maintained a good management from our directive team to face all setbacks. We hope to continue on the same note of perseverance and monitoring next year. 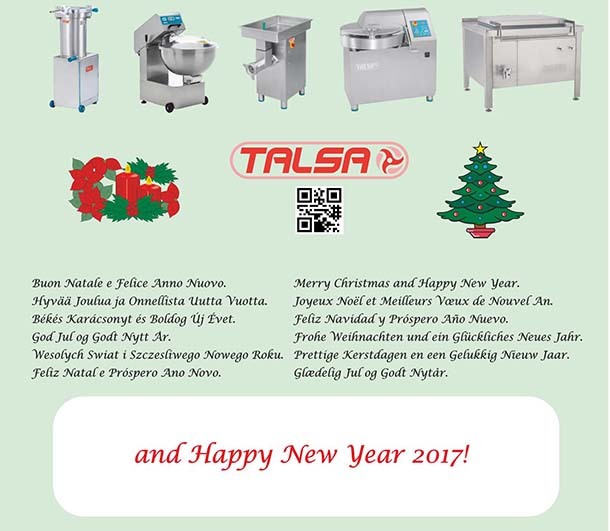 Talsa wishes you a happy 2017. In the Spanish industrial sector, the meat industry holds the 4th place behind the automotive industry, the fuel industry and the electric industry. Traditionally, rural Spain has mostly dedicated its efforts to animal husbandry, frequently through familiar enterprises, as it is reflected in its meat gastronomy. Pastureland-fed pig livestock and the acorn-fed Iberian pig are highly regarded in the national and international market. Up to 50% of the stable-raised animal meat processing industry is situated In the Eastern Mediterranean, Segovia, Huesca and Toledo. And Spain is the second European Community producing country after Germany. One of the main industrial sectors in Spain is the machinery and equipment manufacturing sector for the food industry, not only for the meat industry but also for the baking and dairy products industry, the fish industry, canned food and olive oil. The machinery manufacturing sector supports all the other food producing sectors, because Spain has the best raw materials. 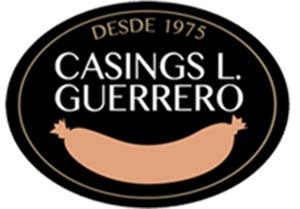 The meat industry machinery manufacturing companies in Spain are mostly concentrated in Cataluña, Madrid and the Basque Country. The Community of Valencia holds 7% of all such industries together with Castilla and León. This important sector gives employment to a large number of people. This sector has to comply with European Standards so it must evolve continuously in terms of research and technological development. Talsa does not make direct sales, so the machinery sales are made through its distributors all over the world. This way, Talsa guarantees the right installation and operation of the machines. Spare parts are also supplied by the distributor, according to the machine’s registration number. In its webpage you will find extensive information about its product catalogue, with all technical specifications, photos and videos where you can see the machines’ finish and operation. If you have a marketing company for meat industry machinery and you are interested in distributing Talsa’s products, you can apply through Talsa’s web application form. The year 2015 presents new challenges and opportunities for Talsa, a manufacturer of machinery for the meat industry and leading company in the “medium-capacity sector” that exports most of its production. Talsa offers a line of hydraulic driven piston fillers, with a capacity ranging from 15 to 52 liters. These fillers can be complemented with a manual portioning device. 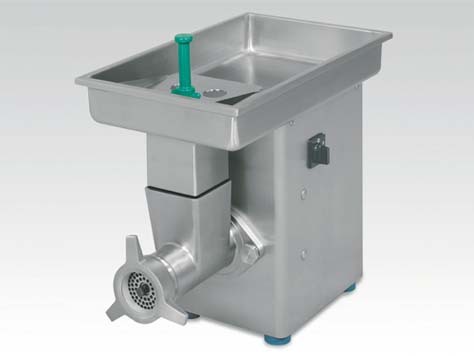 The meat mixers are made entirely of stainless steel. Their capacity varies from 35 to 275 liters. Two models, with 1 and 2 engines, are available. Table top or free-standing machines with capacities ranging from 22 to 130 liters. A wide range of industrial cutters, both electronic and electrical, is available. There are also machines for smaller businesses, with different options and accessories. Both electric and gas cooking kettles are available, with capacities ranging from 160 to 500 liters. These kettles have advanced and improved characteristics. All the machinery manufactured by Talsa for the meat industry is subjected to a large number of quality controls certified by the European Union, with verification and consulting agencies like AIMME, SERING, ICEM, LGAI, APPLUS and LSAE. Talsa sells exclusively to distributors and offers complete technical support and a wide stock of spare parts. The more than 100 years of operation of Talsa and its European leadership in the meat industry sector endorses Talsa’s products. Talsa has a complete Web page through which clients can access the detailed information they require related to the machinery for the meat and food processing industry, and the contact details. In the same Web page, a powerful intranet is available for distributors. Through this intranet they have access to several procedures. For example, they can place orders for spare parts in a fast and easy way. We recommend visiting Talsa’s Youtube video channel where videos of Talsa’s wide range of machinery are available. On this article, we will discuss the importance innovation has on the meat industry, specifically on the manufacturing of food processing machinery. We will refer to a Spanish company, located in Valencia, with international projection and more than 100 years of experience. We will comment about Talsabell, known to the public under the commercial name of Talsa. Becoming a world leader within the food industry, in the manufacturing of average capacity, quality food processing machinery has only been possible by establishing R+D+i (research, development and innovation) as a priority from the beginning. 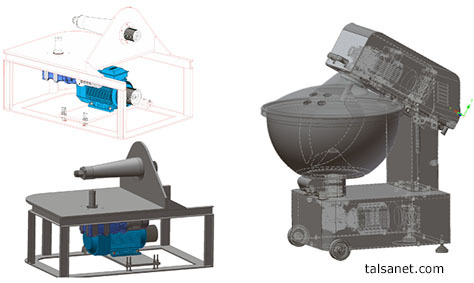 Talsa works with a highly qualified team looking for constant technological evolution, participating in international fairs and acquiring the necessary knowledge to improve their machinery for the food processing industry. One example are the Mincers / Grinders shown on the picture of this article. 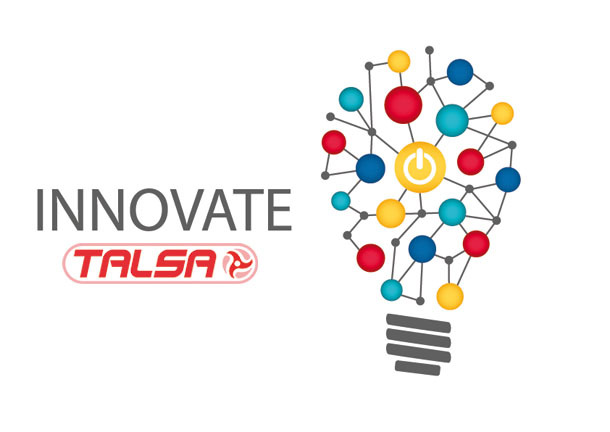 Talsas innovation can also be seen in the relationship it has with its clients by means of new technologies. Through its web page’s Intranet, clients can access all the information they require related to machinery and spare parts and they can place orders in a fast and easy way. One special characteristic of Talsa is the transparency on the information and presentation of its products. Apart from attending to international fairs, it offers a very detailed catalog with all the information on their machinery for the food industry. This information can be accessed through its web page and the machinery can even be viewed in a more realistic way watching the videos added to Talsa’s YouTube Channel.